Are you looking for the perfect product from which to create beautiful disappearing ravioli, clear canapes and edible cocktails? Do you want to experiment with new ways to deliver extra flavor and texture? If so, then you’re going to love working with edible film. 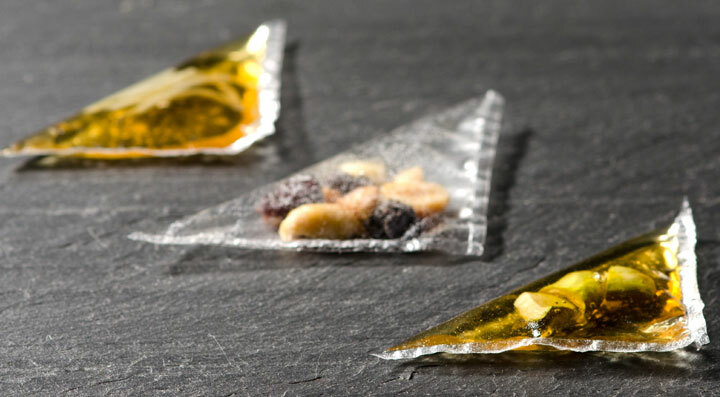 A favorite product of great modernist chefs as Ferran Adrià, these durable yet ultra-thin films are so versatile that you’re going to want to spend time just finding new ways to use them. Edible film is made from potato starch and soy lecithin. It has a neutral flavor, is paper-thin and may be purchased in a variety of sizes. Though it’s clear and dissolves almost instantly in water-based environments, it does NOT dissolve in oil or in bases that have low water content. It holds both liquid and solid ingredients. - Use them on a clean, dry surface. - Make sure your hands are dry. - Store them in a cool, dry place. 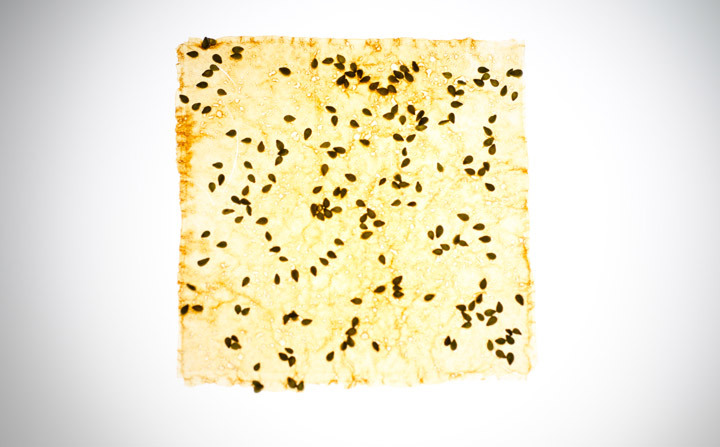 - Ensure that they do not come into contact with water until you’re ready for them to dissolve. What is Edible Film Used For? The uses for edible film are limited only by your imagination and the water content of your ingredients. Otherwise, it’s a great vehicle for showcasing crèmes, honey, dried fruits, Nutella, seafood, foie gras, pralines, oil suspensions, and just about any other oil-based or dry ingredient that you’d like to present separately from other ingredients. Though it’s great for encapsulating ingredients in a ravioli-like manner, there are many other ways that you can use edible film. Some of the greatest chefs in the world are using it as a platform for showcasing ingredients in a tortilla-like or taco shell-like manner. Others use it to make paper cocktails, canapés, edible wrappers, and even a mini edible bouquet cone! 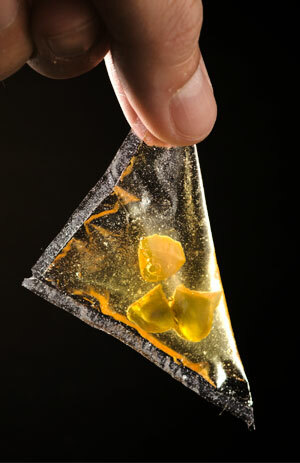 First presented by Chef Ferran Adrià, disappearing transparent ravioli were crafted using edible film and became an icon at el Bulli in 2009. The dish offered three different raviolis: one had a raw pine nut praline, one was stuffed with roasted pine nut praline, and the third had pine cone oil with roasted pine nut. The dish was accompanied by a green pine cone infusion to dip the raviolis in. The ravioli “pasta”, aka edible film, astounded the diner by instantly melting in the mouth. 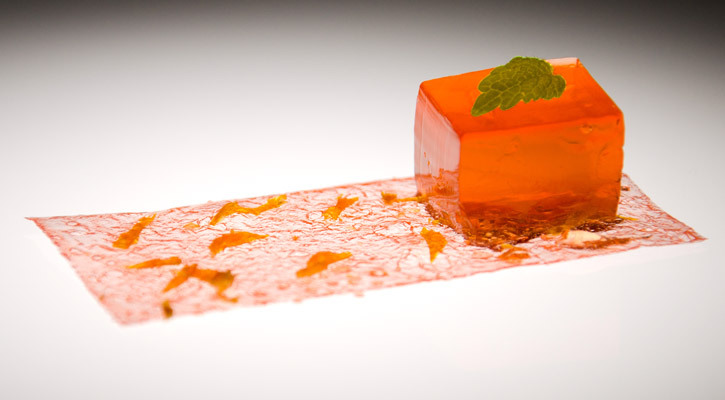 Another application for edible film that Chef Adrià created is the clear canapé. In essence, he needed a way to present his dish in a matter that allowed the diner to pick it up and eat it without getting messy but he didn’t want to alter the flavors or textures. He also wanted, in clear Adrià style, to make the presentation unique and beautiful. 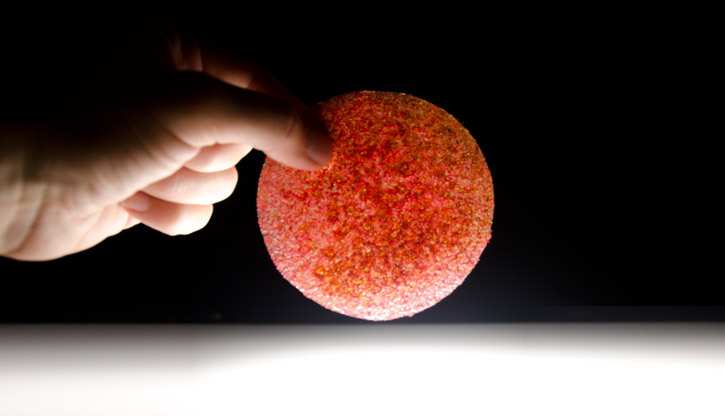 He ended up creating a taco shell-like structure from a round edible disc and voila! The diner could experience the dish as he meant for them to in a fun, impressive manner. A great example of this technique can be found in our very own Clear Canape Asparagus Miso Foam Malt Crumble. We start with a clear canapé and build the dish inside of it. At the base of the dish is luscious miso oil foam with an asparagus tip on top. Next comes a malty, yeasty crumble made from malt powder, Gran Padano cheese and poppy seeds. The “canapé” is garnished with a rosemary flower. Another great way to use edible film is as a surprising edible wrapper. 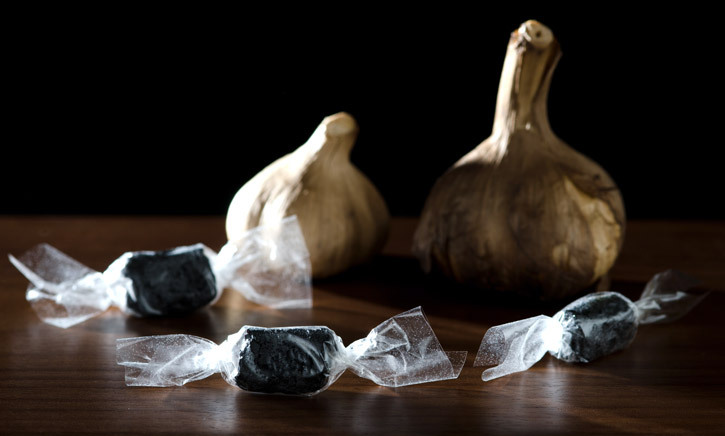 We use it as a wrapper for our black garlic and kimchi caramels. The tasteless edible film is a non-messy, creative way to present these “candies” to our diners. It offers a unique dining experience and allows them to pick up the caramel and dip it in the mirin and white miso dipping sauce without getting their fingers dirty. 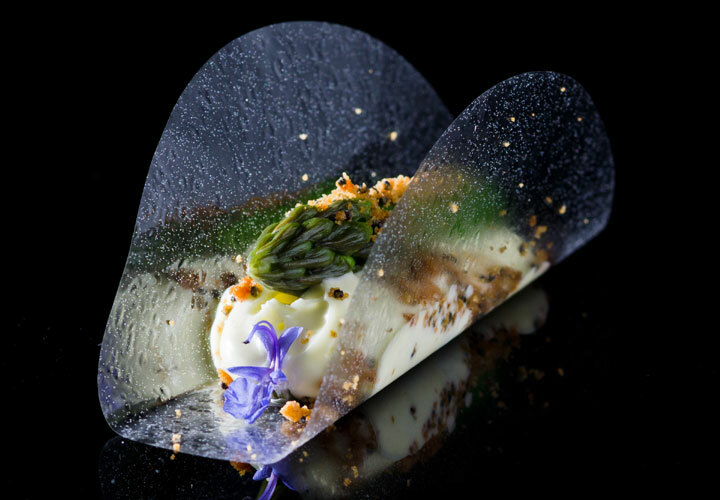 Another way that we like to delight our guests is by using the edible film to create a cone or cylinder in which to present the food such as our one-bite salad with micro greens, micro flowers, olive oil caviar and balsamic glaze. It actually looks like a mini bouquet of flowers but tastes even better than it looks. The film is a great way to create a beautiful vessel that makes the dish easy to eat without altering the flavors or textures that we want the guest to experience. Did you ever wish that you could turn liquid flavors such as dressings or spices into a solid in order to deliver the most taste per square inch? If so, then edible film is going to be your new best friend. In our Soy Sauce Wasabi Sesame Crystal recipe, we simply spray our flavored liquid onto a layer of 3 edible film discs and dry it in the dehydrator for a few hours to crisp it up. The result is an ultra-thin, crunchy tuile that adds a punch of flavor and texture to a dish. Looking for a new, beautiful way to intensify texture and add another layer of flavor to your molecular cocktails? So were we, so we decided to make an edible cocktail paper from edible film. Remember that if you’re going to concentrate flavors, make sure that they’re off the chain to begin with; if the flavors are bad, concentrating them will just make it taste worse. In our Aperol, Rosemary, Honey Scotch Paper and Gel Cocktail, we use two of our favorite tools, edible film and the iSi Whip, to create a colorful, flavorful gelled cocktail that will absolutely knock your socks off. From the orangey, herbal flavors of the Aperol to the sweetness of the honey and the smokiness of the Scotch, you may be sucked in by the appearance but the flavors will make this “drink” a favorite. Based on the same premise as the edible crystals, edible film is the perfect tool to create a paper-thin crispy caramel to add another dimension to modernist pies, appetizers, garnishes or desserts. In our Wafer-Thin Raspberry Caramel Crisp recipe, we flavor caramel powder with freeze-dried raspberry and sprinkle it over an ultra-thin edible film disc. Then we melt it in the oven for a few seconds to crisp it up. This is one of our favorite ways to use the edible discs. As long as you use dry ingredients that won’t melt and dissolve your film, the possibilities for this application of the film are limitless! Similar to Chef Adria’s “taco shell”, this application of edible film opens up yet another multitude of culinary options. 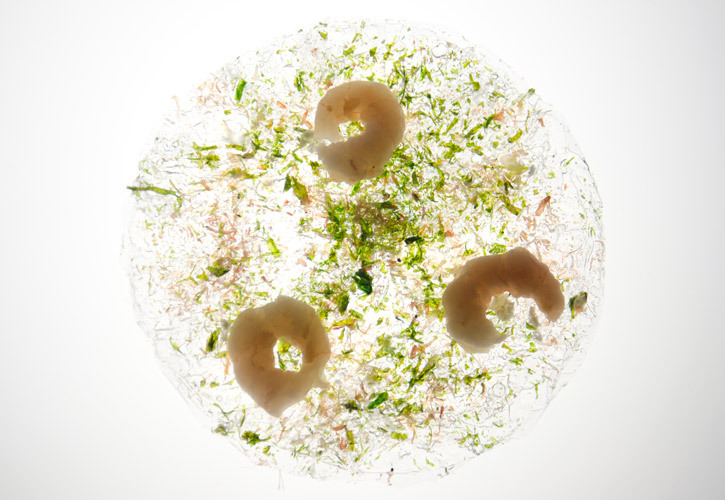 Chef Dani Garcia of Calima restaurant in Spain makes an Ultra-Thin Shrimp Tortilla by gluing a few layers of edible film together with egg white and frying them for a few seconds. He chooses to top the clear tortilla with his shrimp dish but the possibilities truly are limitless here. You can add a crunchy, beautiful modernist twist to practically any dish that you can think of as long as it’s not water-based. 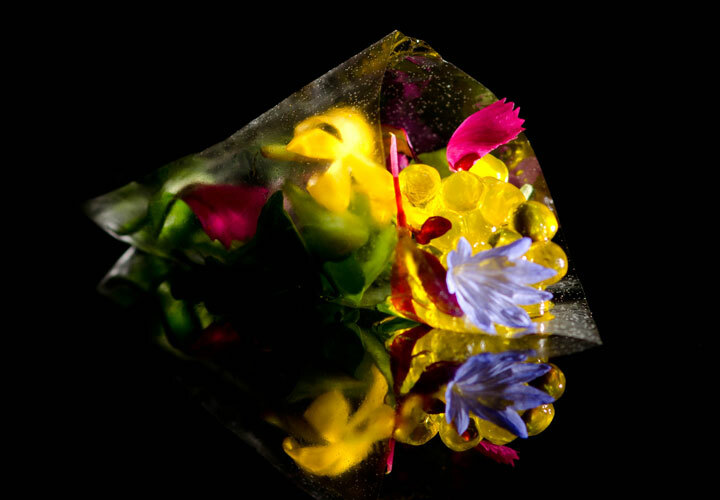 Ultra-thin edible film is one of the most versatile, creative ingredients to hit the culinary market in recent years. Top modernist chefs have recognized the value of these seemingly-innocuous little films and have chosen to incorporate them into dishes that are now world-famous. They’re easy to use, inexpensive and flavorless. The only thing that they need is your creativity, so what are you waiting for? We’ve got them ready to ship right now, so order your ultra-thin edible film now! Incredible Dishes From 2-Michelin Star Funky Gourmet » « El Celler De Can Roca Gets the World’s Most Weighty “Like”!